If you want to think--and live--like Jesus, join the millions of people who've read "The Imitation of Christ" over the past five centuries. This devotional classic by Thomas a Kempis, first published in 1472, has been lightly abridged and edited for ease of modern readers. 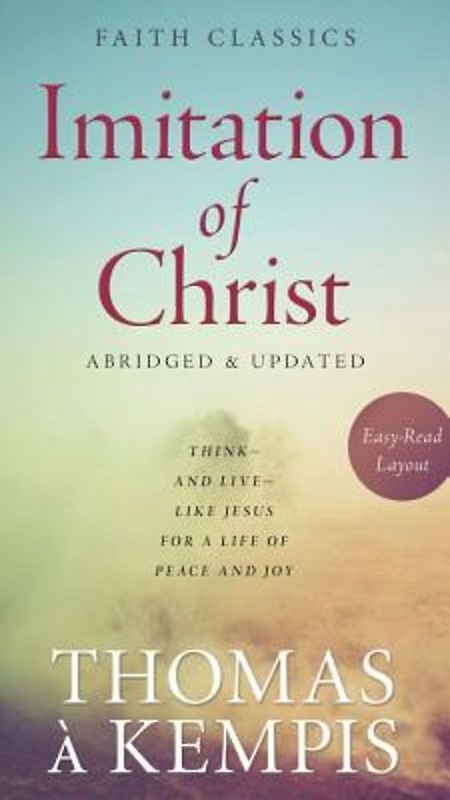 Addressing the spiritual life, our thoughts, God's consolation, and the act of Communion, a Kempis's classic offers clarity and comfort, peace and joy to believers of any age or background. Drawing from nearly a thousand Bible texts, "The Imitation of Christ" explains both why and how we should be like Jesus.